Great article from a dedicated female physique competitor. Of interest for most people looking at our page, the author found that muscle doesn’t always equal capacity. 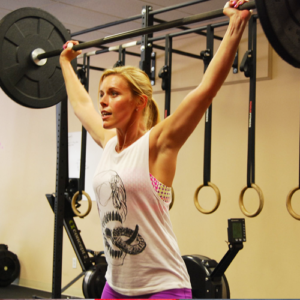 Also, regarding worries that CrossFit will add muscle, set them aside. Elite bodybuilders and CrossFitters are elite BECAUSE they are naturally muscular. The average trainee has about as much chance of looking like high-level bodybuilder or CrossFitter as they do of getting hit by lightning.